19th Annual MBARA Kingfish Tournament Coming August 29! Mexico Beach Community Development Council and the Mexico Beach Artificial Reef Association are gearing up for the 19th Annual MBARA Kingfish Tournament on August 29, 2015 at the Mexico Beach Marina! This exciting fishing classic is your big chance to win cash prizes for the top wahoo, Spanish mackerel, and, of course, kingfish. 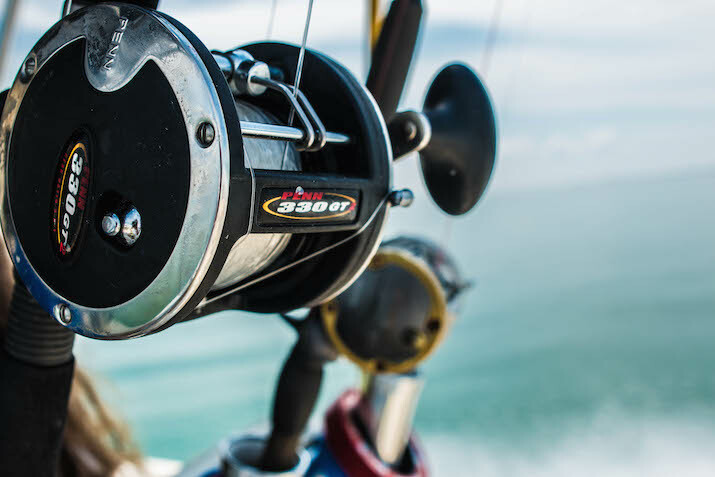 The tournament is one of Mexico Beach’s longest running charity events, with proceeds funding the continued efforts of MBARA’s artificial reef implementation and maintenance. We’d like to thank BeachTV for featuring this spot helping us share the event with their audiences, and Mexico Beach is looking forward to hosting visitors from across the country for the tournament! Prizes will be awarded in both the Recreational and Professional/Masters divisions. The tournament will begin bright and early at 5 AM on Saturday, August 29, with a captain’s party the night before at Veteran’s Memorial Park to welcome all the competitors. There will be food, drinks, and door prizes, so don’t miss out! Weigh-in opens at 1 PM at the Mexico Beach Marina and the award ceremony take place once weigh-in closes at 5 PM. There will be an after-party at Toucan’s Restaurant featuring a live rock and roll band! CLICK HERE for official rules or to register for the event. We hope you will join us for a weekend of fishing, fun, and reef building!